Does that bag you’ve made yourself need a finishing touch? 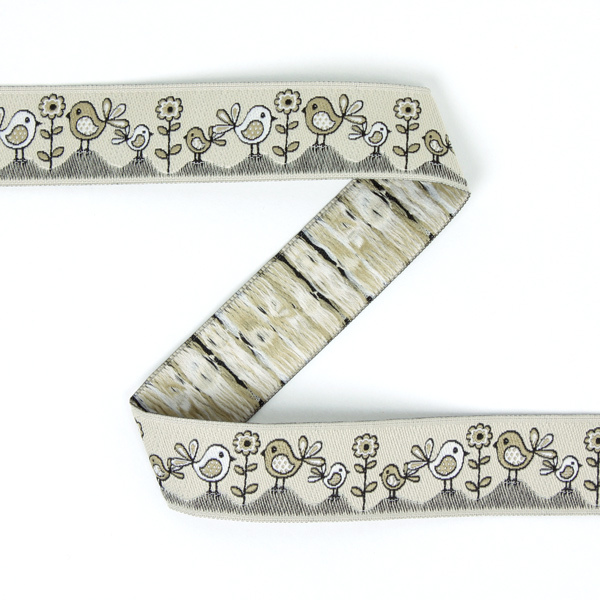 Have you considered perhaps sewing on a woven ribbon? 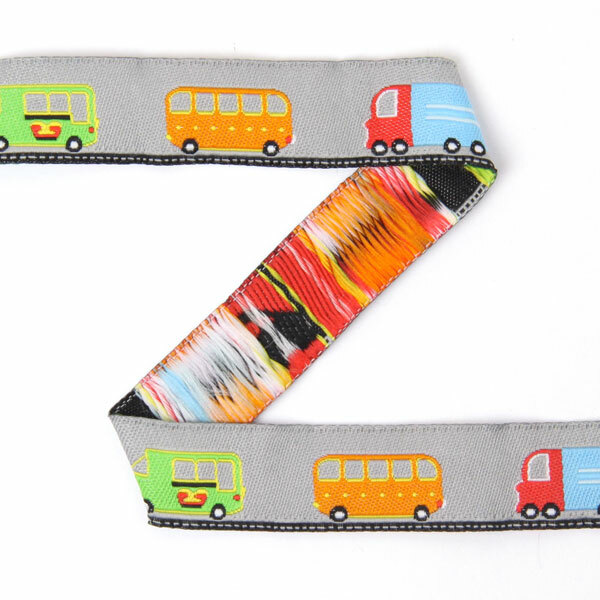 A woven ribbon can also be used to great effect as a loop in the side seam of a bag or to mark the front and rear portions in clothing. 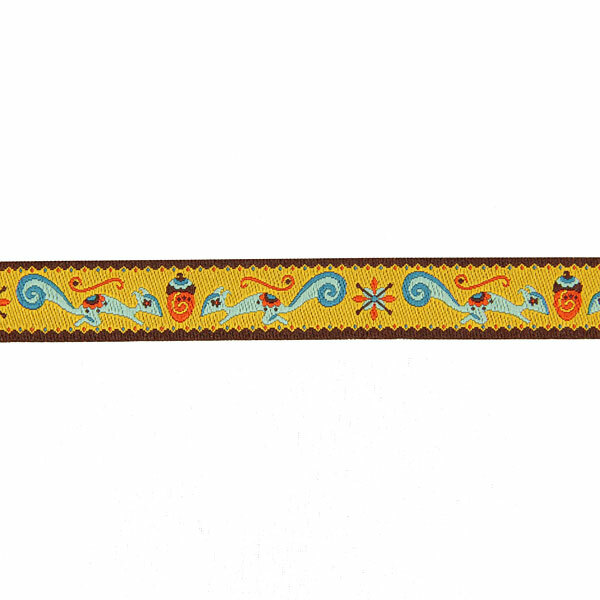 You’ll see how a boring piece takes on new life with a woven ribbon – and so cheaply, too! 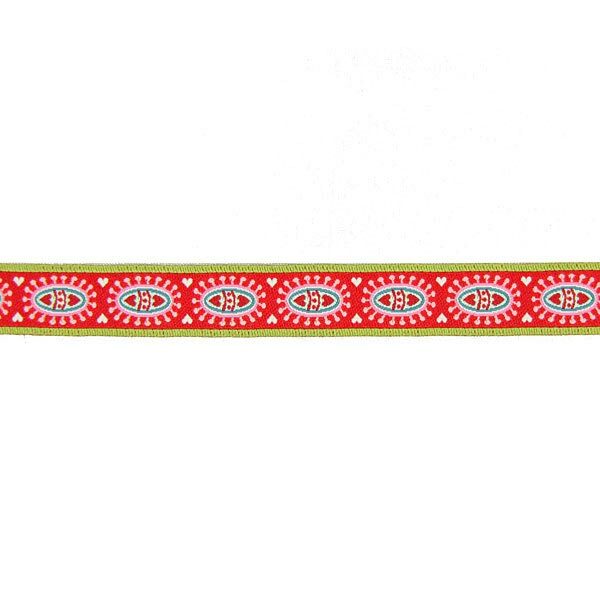 One woven ribbon – a host of possibilities: use it to decorate, embellish, gift-wrap – or just stick it on! Woven ribbons are the quick-fix solution if you want to gift-wrap or embellish an item and set it apart from the ordinary. 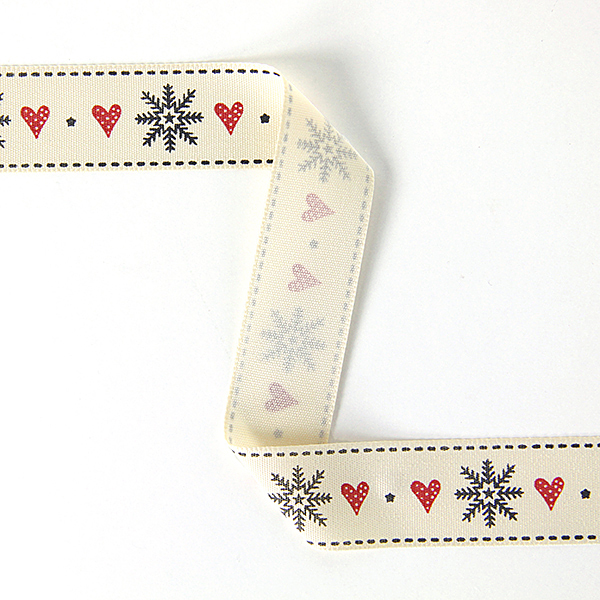 You can sew on the cotton ribbons, but when you’re in a hurry, you can also just stick them on to a Christmas card and voilà! 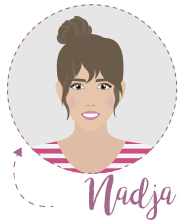 You’ve designed a unique Christmas greeting card in no time at all. 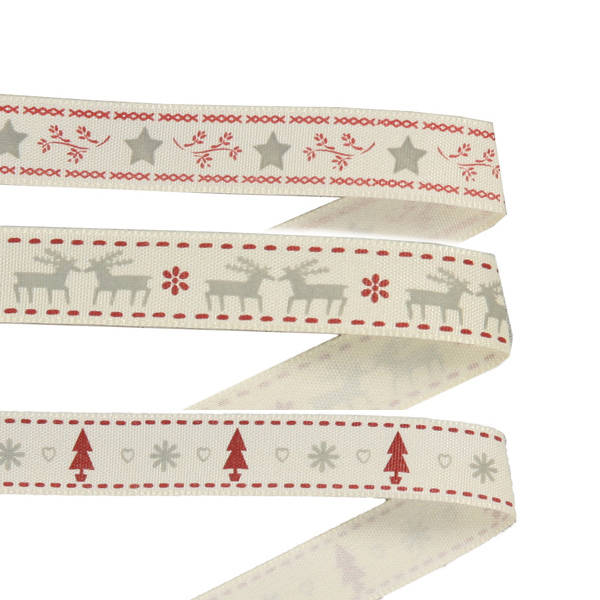 Since the run-up to Christmas always goes by more quickly than we think it will, you should start to think right now about stocking up on lovely woven ribbons that you can use in an “emergency”. 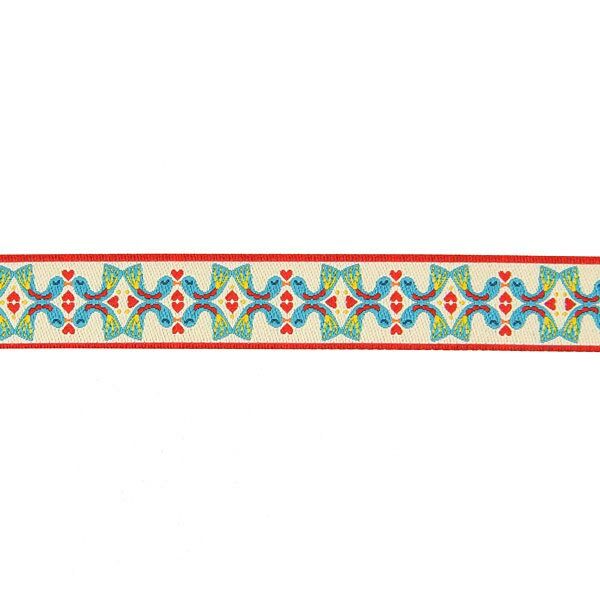 Do you find it hard, too, to complete a single project without embellishing it with at least a small length of woven ribbon? 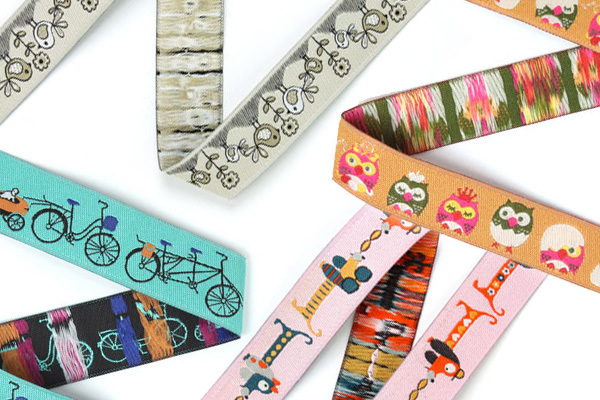 If so, you should take a look at our new woven ribbons; perhaps you'll find something among the new motifs that's a perfect match for your next sewing idea. 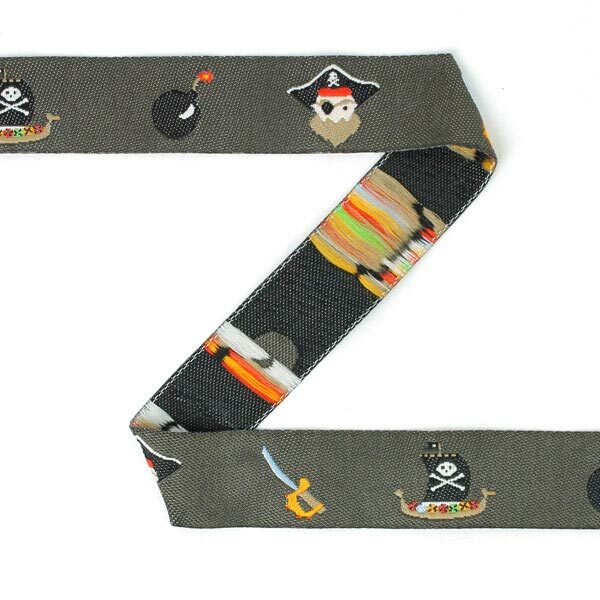 Cars, pirates and hearts are just some of the motifs that you'll find among the new woven ribbons. 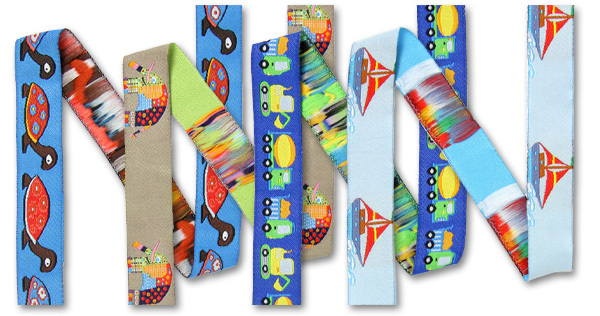 Woven ribbons – a massive selection! Aaaah... Aren't they sweet?! 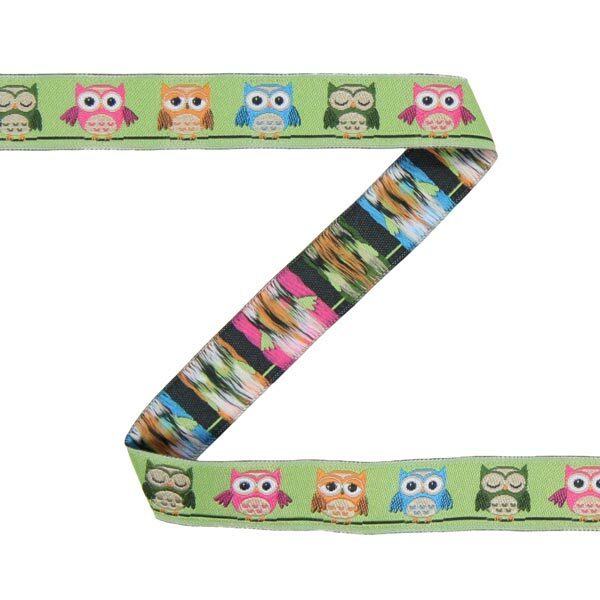 We're definitely not the only ones to gush over woven ribbons with cute motifs: you and your little mischief-mongers do, too! 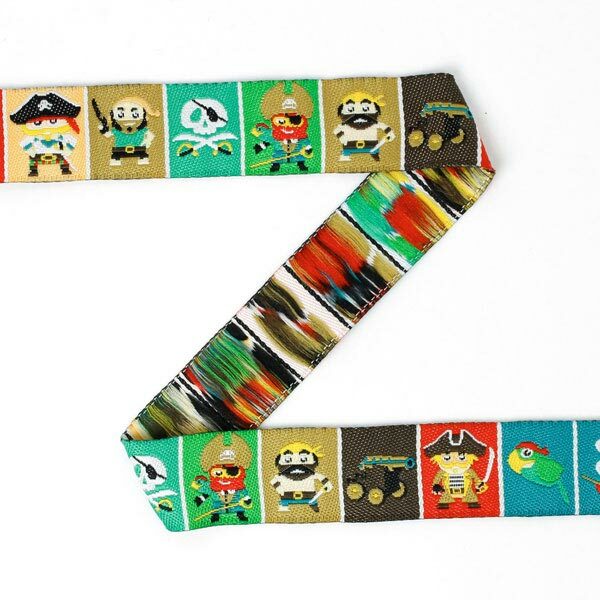 Use them to embellish your next bag or a little pouch... Sew some onto a new dress and steal the show! 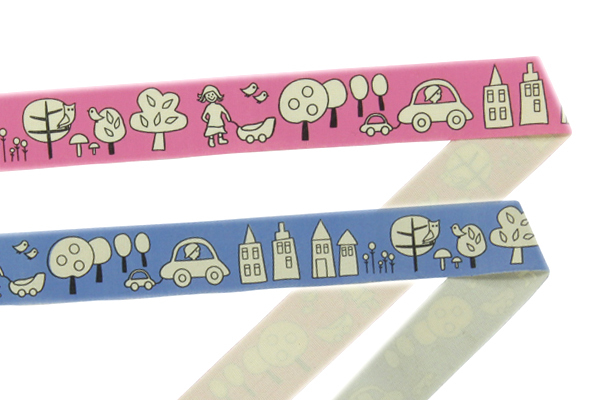 Or adorn your darling's trousers with them... We are sure they'll light up your family's eyes! 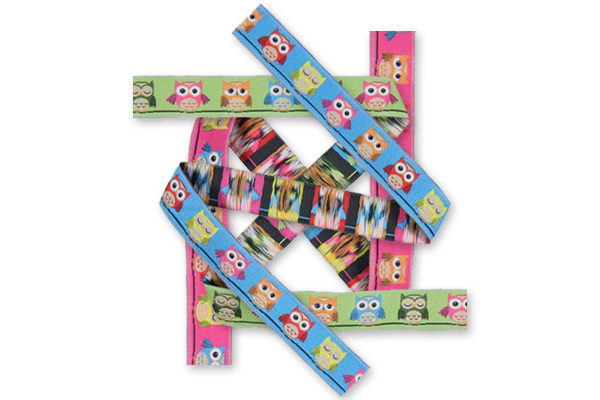 Cute children’s ribbons – made for cosseting! 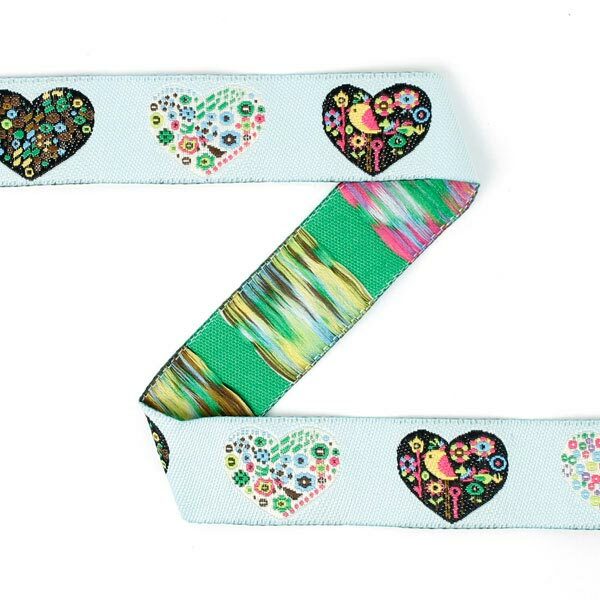 We can't get enough of children's ribbons. 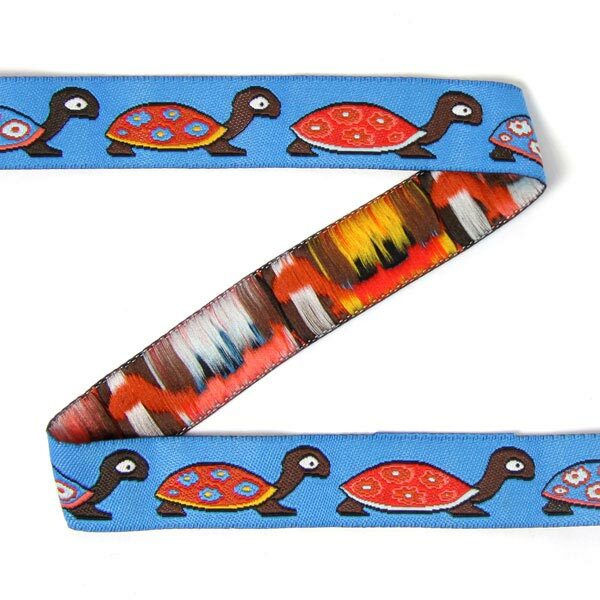 As an accent on a skirt, an appliqué on a bag or as an embellishment on a lanyard – with a woven ribbon, you can transform your sewing idea into a unique piece in no time. 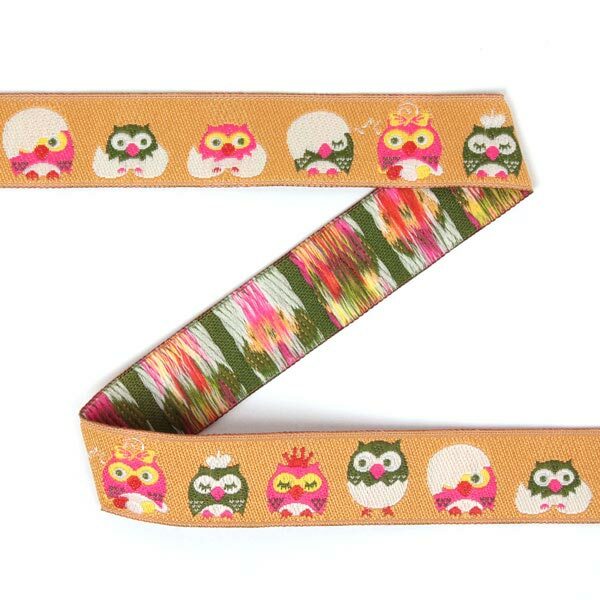 And you can also use ribbons to creatively fashion old clothes or bags quickly and with minimum fuss! 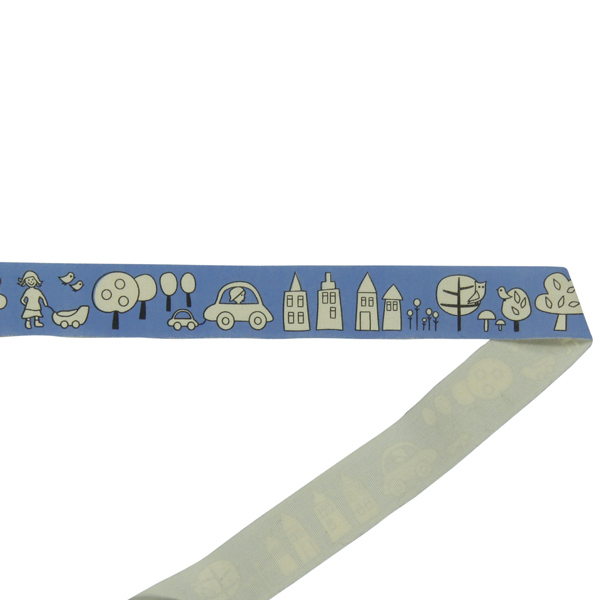 Find your favourite ribbon in our wide range of children's ribbons right now! And suddenly Christmas is here again! 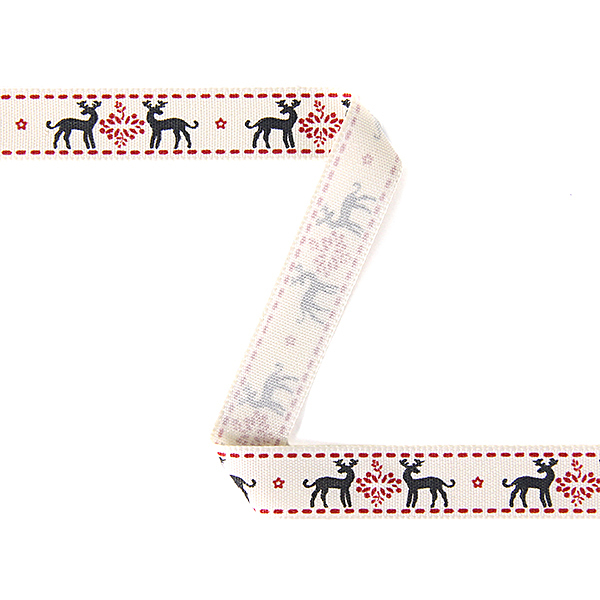 With our Christmassy woven ribbons you can easily whip up a few presents - or use it to wrap them. 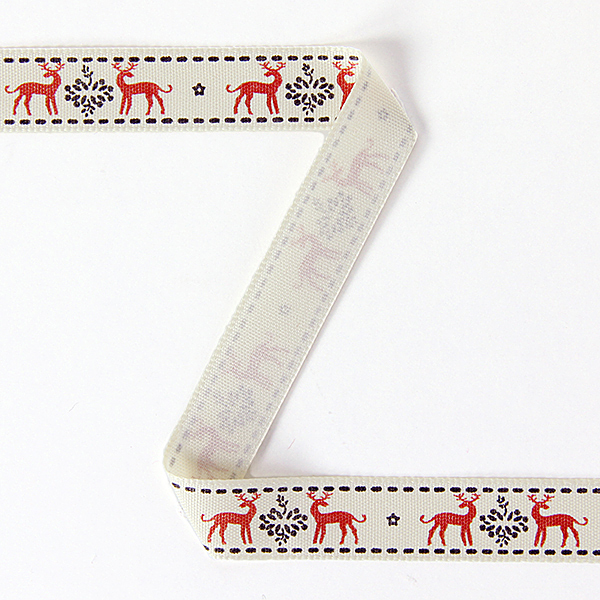 Reindeer, mistletoes, and snowflakes are getting you in the spirit. Reindeers, christmas trees, or stars? 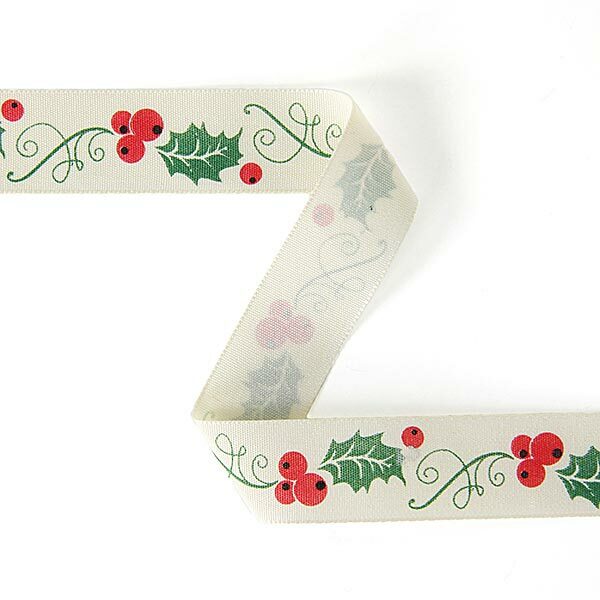 Prepare for the coming holidays and decide on the look of your decorations! 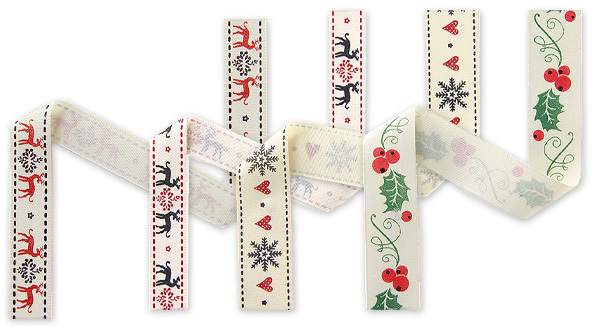 Christmassy woven ribbons can also be used for wrapping presents. Let your imagination run free! 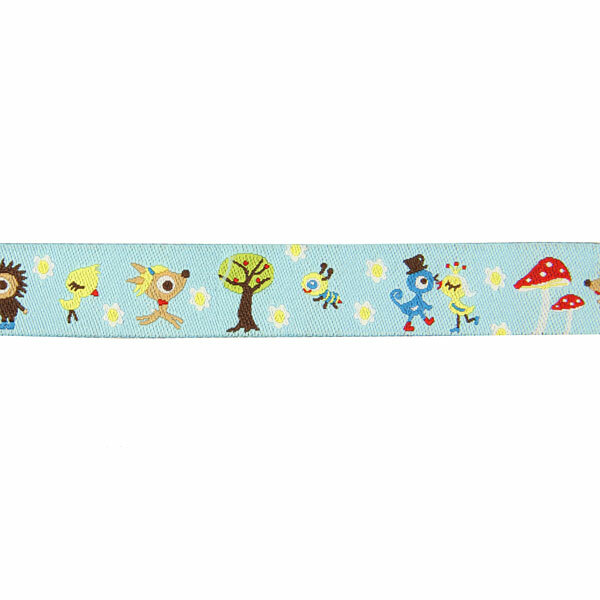 There's something new for creative sewers and kids! 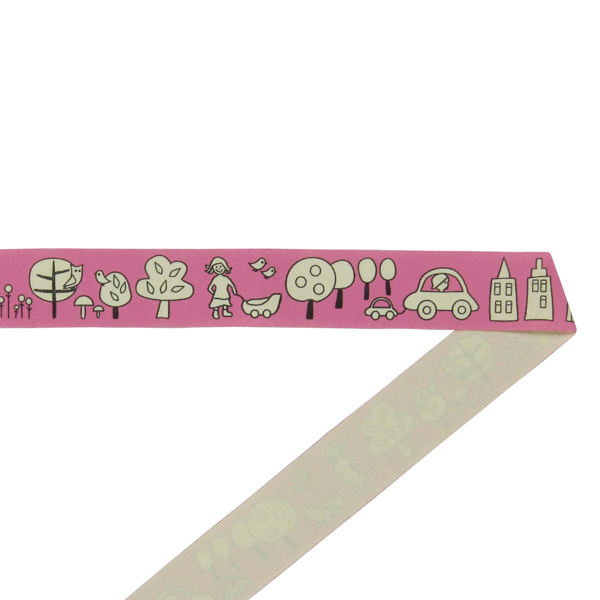 Just let your kids design the woven ribbon for a dress or a jacket themselves: a funny street scene with a pink or blue background leaves enough room for painting! Just color it in with a regular felt-tip pen and then wash it again. 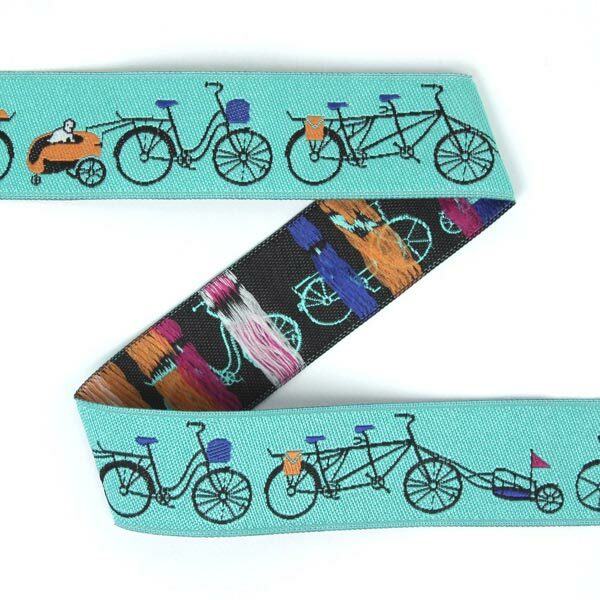 For a lasting impression on the woven ribbon just use a textile marker. 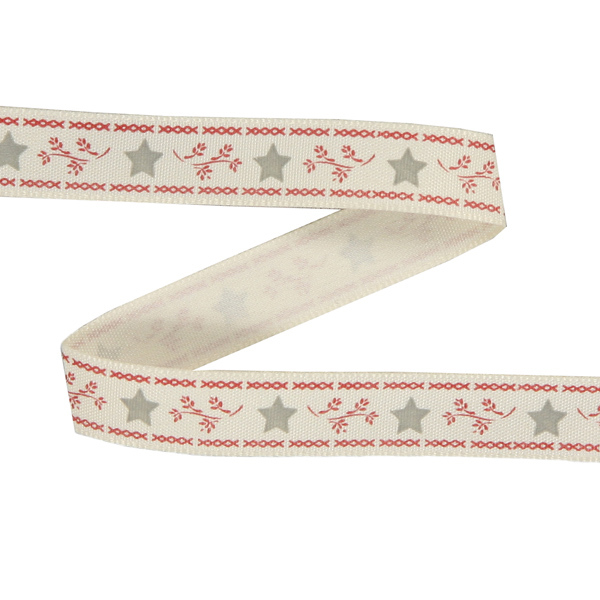 Woven ribbons can wonderfully embellish your apparel, but they're also great for all kinds of decorations. 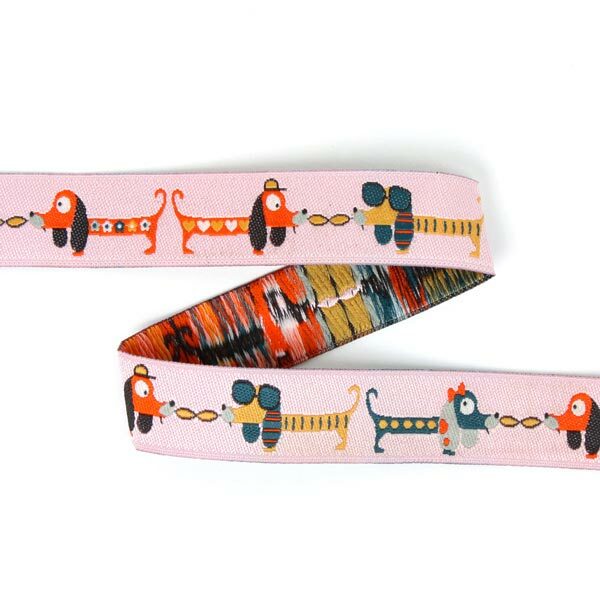 Small hearts or cute little animales - you just have to fall in love with these woven ribbons!